Permaculturists work as sustainability consultants, landscape designers/installers, farm managers, educators, and land stewards all over the world. Knowledgeable trained permaculturists help others implement sustainability into their landscapes and lives. If you love nature & working with people, and are ready to start on a new career path that is both personally and professionally rewarding, you owe it to yourself to consider permaculture design training. The Alderleaf Wilderness Certification Program provides the hands-on training, practical experience and support to pursue a rewarding permaculture career. This program is ideal for students interested in getting into the field in the shortest time possible. Graduates of this program are prepared for entry-level positions in permaculture including landscape installation, design consulting, and land stewardship. The advanced program is designed for graduates of AWCP interested in pursuing additional training and certifications. Graduates of this program are prepared for more technical permaculture positions in design, implementation, and education. Completing this additional training can mean higher earning potential and increased job opportunities. 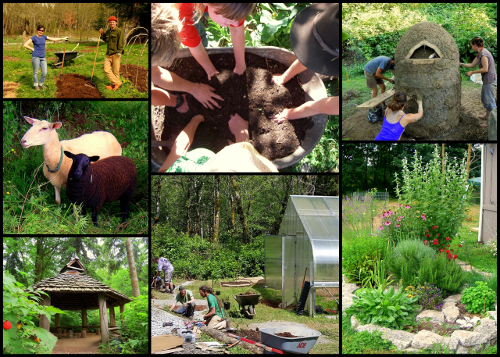 Is Permaculture Education Right for You? If you’re interested in learning more about becoming a permaculturist, and exploring whether this is the right career path for you, fill out the form on this page and receive more information. 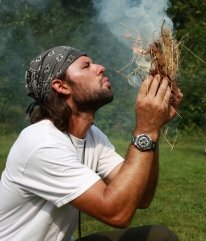 "Here you will be able to learn sustainable living skills, medicinal uses of plants, and bushcraft from experts in each field. I learned new edible plants I can find all over the country, how to obtain safe drinking water, maintain fires in wet weather and to handle medical emergencies that may happen in the back country. Alderleaf Wilderness College is a recognized leader in the field of nature education, providing training to the WA Department of Ecology, Forest Service biologists, and consulting with the Discovery Channel.